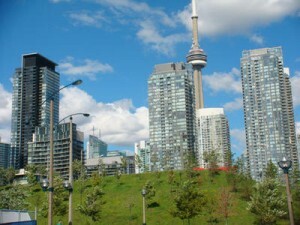 The Toronto Real Estate Board reported 4,541 condominium apartment sales through the TorontoMLS system in the third quarter of 2012. This result represented a 20.5% decline in transactions compared to the third quarter of 2011. Over the same period, the number of new listings was up by more than 6.5% to 11,456. “The condominium apartment market was the best supplied market segment in the third quarter of this year. Strong condominium apartment completions in 2011 and the beginning of 2012 resulted in many investor-held units listed for sale. At the same time, sales dropped off relative to last year as some buyers moved to the sidelines as stricter mortgage lending guidelines resulted in increased costs of home ownership,” said Toronto Real Estate Board (TREB) President Ann Hannah. The average selling price for condominium apartments in the third quarter, at $334,204, was flat in comparison to the same period last year. “With more listings to choose from and fewer sales, condo buyers have not been as aggressive with regard to offers, and sellers have had to price their units competitively. The result was little upward pressure on the average selling price compared to last year. Given the supply of listings currently in the market place, the average rate of price growth for condo apartments should continue to lag price growth for low-rise home types over the next year,” said Jason Mercer, TREB’s Senior Manager of Market Analysis.